We were doing the “balancer in” or “balancer out” argument on here a while back? Whilst we were discussing this, it just didn’t seem to be logical that some owners swore blind that they had removed the balancer and found absolutely no difference in the levels of engine vibration. After all, whatever effect a balance weight whizzing around at crank speed might have- removing it must make a difference- pure physics. And testers did say the original TX was a very smooth runner. 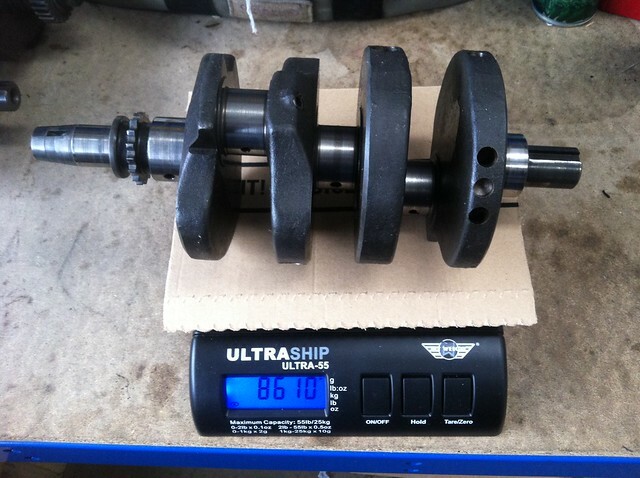 ..9500 grams so 890 grams heavier! 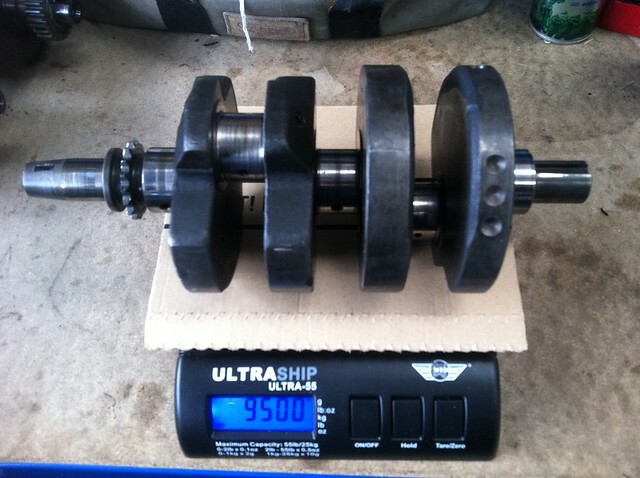 And that's 10.3% heavier than the 371 crank so the information on that was correct. 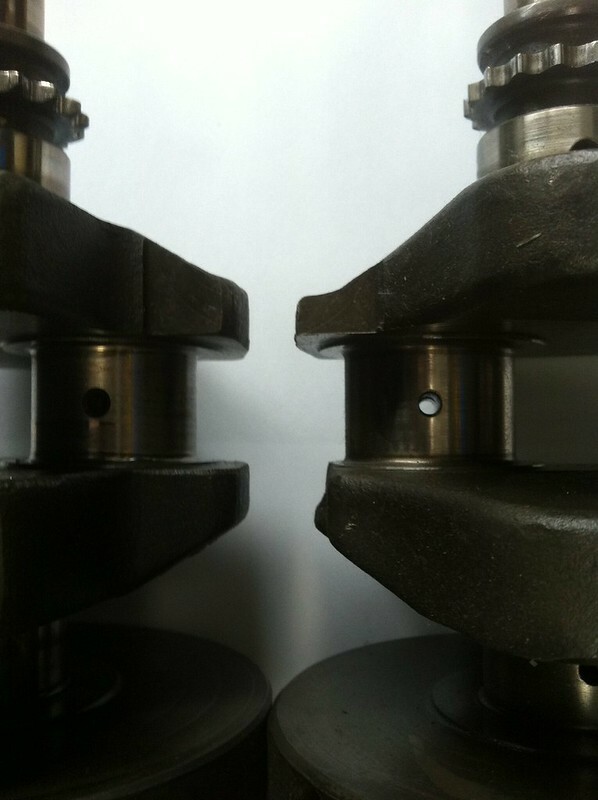 Everything else about the cranks are the same dimensionally, so they are a straight swap. They also apparently hardened up the balancer drive cog- too late for mine unfortunately. So if the balancer shaft stayed the same, then the C's, D's and E's probably had slightly higher vibration levels than the early bikes. But ran better through slow traffic and probably idled better. And if you wanted to rip the balancer out it would not be as missed as if you pulled it out of a TX. So nobody was wrong in the original argument and everybody was right. Maybe this is also part of why my bike has idling issues. Thanks for the info! Anyone want to help me do a crank swap? It was buried down in the topics jimmer- I thought I would make it sticky so the new members could see it easily. We seem to be on another round of balancer discussions so almost need some of this stuff as FAQ's! balance shafts ! just more junk spinning round, ive not noticed any vibration on my xs race bike worth worrying about ? I actually stopped racing my rd430 because after 4 laps I could not feel my hands due to the high frequency vibes, must admit ive never run the xs with balance shaft fitted? My backup motor did not come with any starter or balancer chains on it, Just remove all the bits that might fall off from vibrating?. Hey friend of mine has a 400ex s with the 180 crank in it and no balancer and it doesn't vibrate too much. I can't take all that stufor shor should I take out all of that I can't take all that stuff out. I can only take out the balancer shaft then when that let the right side bearing come loose or is that held by a C clip? will some one in the know send me to the right place or let me know whats up?? ok to ditch chain and it done or pull tentioner too? it is a 371 well they are. i looked and there are the short adjust kind any how so what is exacty the deal on it? my other motor has one, of each btw. look to be in reusable shape. olny one starter thought. i did refit my balacer chain. as much vibs as a 400 from 81 rides great at 55 in 4th gear.wont idle worth a well ya know. light crank+old style keihen chrome dome carbs!! lol! !